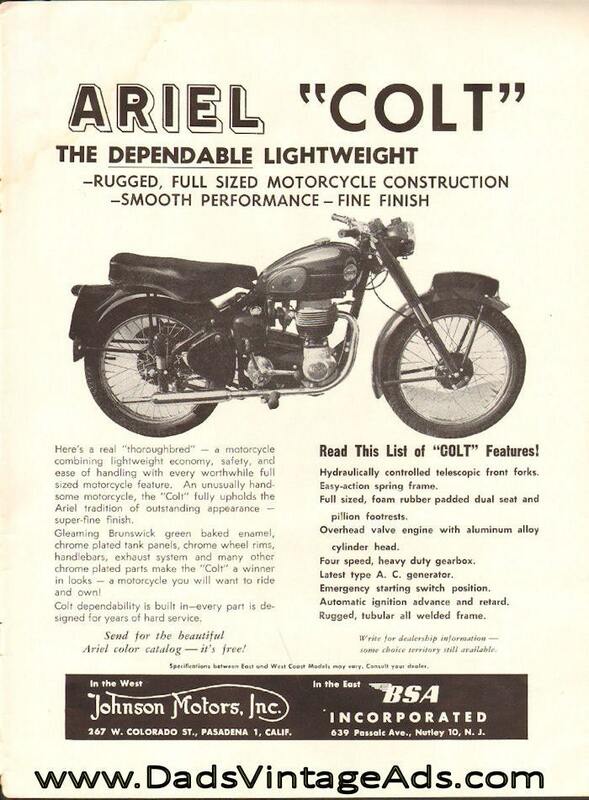 Here's a real thoroughbred - a motorcycle combining lightweight economy, safety, and ease of handling with every worthwhile full sized motorcycle feature. 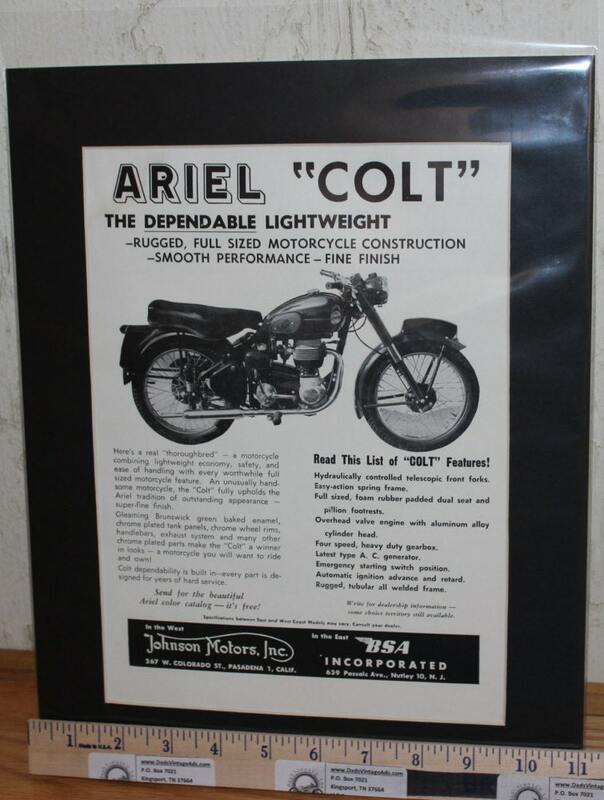 An unusually handsome motorcycle, the Colt fully upholds the Ariel tradition of outstanding appearance - super-fine finish. Gleaming Brunswick green baked enamel, chrome plated tank panels, chrome wheel rims, handlebars, exhaust system & other chrome plated parts make the Colt a winner in looks - a motorcycle you will want to ride and own!